The Hendrick’s Gin LEVITATRE Returns To Nuit Blanche! 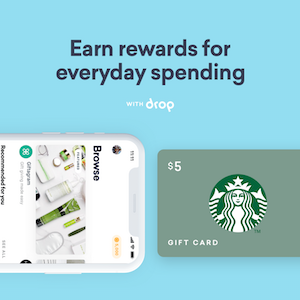 Rejoice! Hedrick’s Gin will be returning to Toronto’s Nuit Blanche with their signature L.E.I.T.A.T.R.E.! The fan favourite hot air balloon/art installation will be stationed at Nathan Phillips Square on Saturday, September 29th. This skyward contraption will delight audiences from 7:00 pm until 7:00 am the next morning. As an added bonus, riding the L.E.V.I.T.A.T.R.E would make for a date night that’s truly out of this world! For many years, Torontonians have embraced Nuit Blanche, an all-night arts festival that brings a bevy of innovative installations to this fair city. Of course, one of the most memorable installations of 2017 was certainly the 65-foot L.E.V.I.T.A.T.R.E., a contraption as peculiarly beautiful as a satisfying Hendrick’s Gin gimlet. 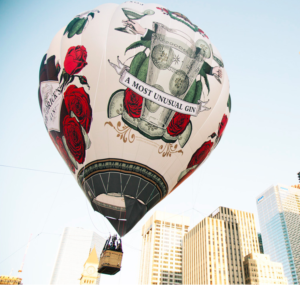 What could be more awe-inspiring than looking down on Toronto from the basket of a hot air balloon decorated with luscious red roses? Prepare yourselves for a night of levity and whimsy! 2. 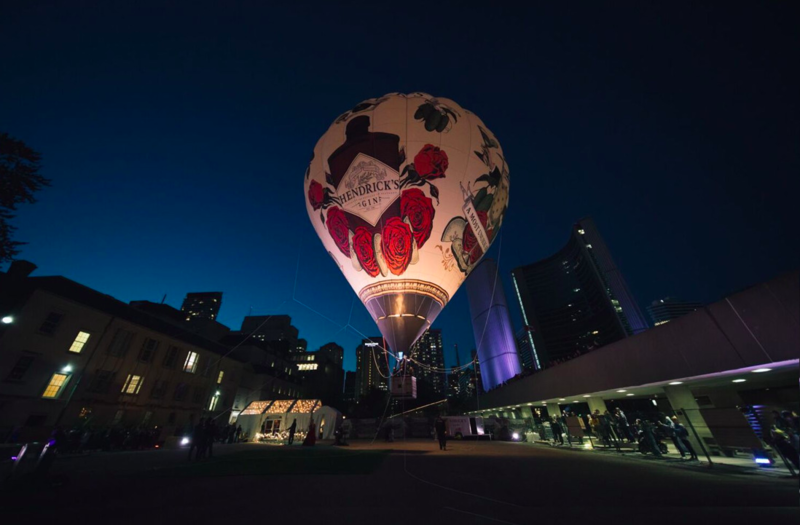 Enter Onsite: Nuit Blanche Toronto guests can visit Hendrick’s Gin Air Departure Lounge on Saturday, September 29 and enter to win a chance to fly every hour (limited to those 19 years and older).